Hello to you and welcome to another week here at Make It Monday. 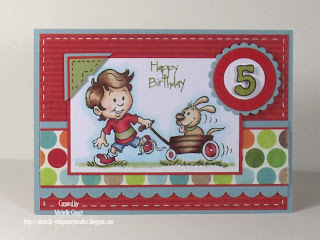 To those of you who have just recently joined us (it's great to have you here) I hope that you enjoy the linky party this week and please pop on over the the Design Teams blogs and say hi, we would love to come visit you too. Speaking of coming by to visit you, some of the lovely people who leave comments for us here on the Challenge blog come up as noreply-comment@blogger. This means that as much as we would like to,we can't reply to your comment. If you would like to change your status but don't know how, try going to your dashboard (for blogger)and click on edit profile and select "show my email address". It was another amazing week last week, so many truly fabulous entries. 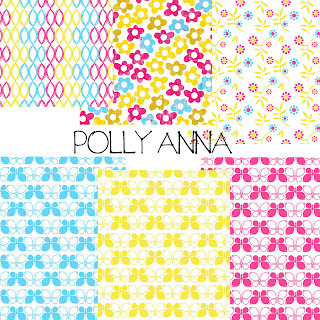 It is a pretty tough job for the Design Team to pick their favourites each week let me tell you! 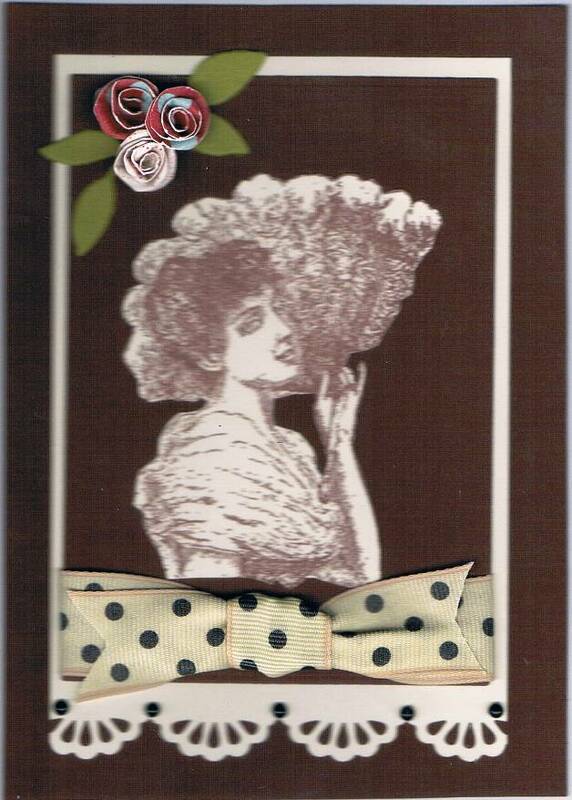 Such a gorgeous image, so feminine and I'm just loving that punched border. One can never have too many punches............right? 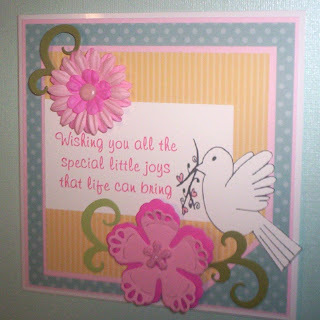 Sandy has been making cards for quite a while now but is still relatively new to blogging. 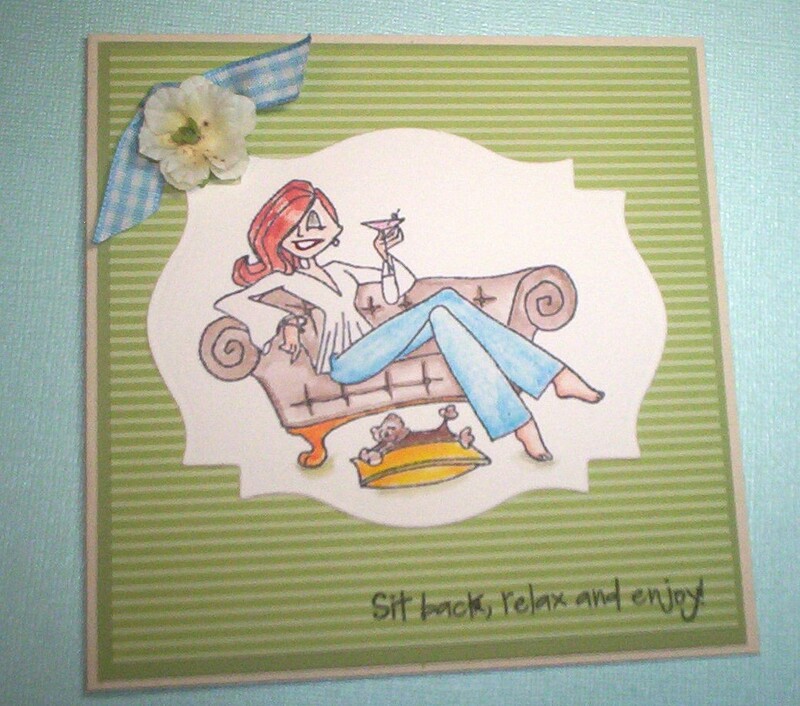 She has a wonderful style which favours the vintage look (that she does so well). I hope you will all take a wander over to Sandy's blog and say hi and show her just how friendly the Make It Monday community is. I know she will be so happy to have you drop by. Dawn, please email me at mgissel70@yahoo.com.au so that I can arrange for you to receive your prize. Thank you for getting in to the spirit of MIM. This weeks Linky Party # 43 is now open. Please link up your creations at the end of this post. The wonderful girls of the MIM Design Team have gone all out and created some fantastic cards to inspire you. Please hop on over to their blogs and say hi (and see who they picked as their favourite too). Hi there!! So happy to have you come by. 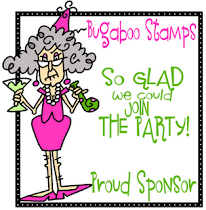 I am absolutely amazed by the quality and quantity of entrants in last weeks linky party. So much creatitivy out there!! 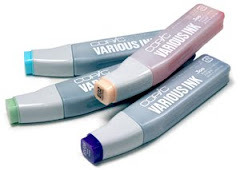 You are forgiven if you didn't get around to checking them all out. We had a record week last week. 1405 views and 1250 link clicks recorded for the week. I am so over the moon, that means that so many of you are really getting in to the spirit of MIM and sharing that blog love around. I am sorry if we dont get around to commenting on each individual entry but the team and I do try our very best to see as many of you as we can. How cool is this?!! Tilda looks amazing! This awesome display of creative genius is just the tip of the iceberg. If you spend a little while just browsing through this gorgeous blog (and I know you will!) you are going to find post after post of creative inspiration. Thank you so much Stephanie for sharing with us here at Make It Monday. ﻿Now on to this weeks winning commentor. Sharri who left a lovely comment for Merry. Sharri, please email me at mgissel70@yahoo.com.au so that I can arrange for you to receive your prize. 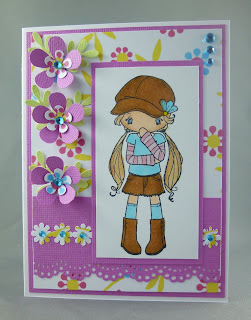 This weeks Linky Party # 42 is now open. Please link up your creations at the end of this post. 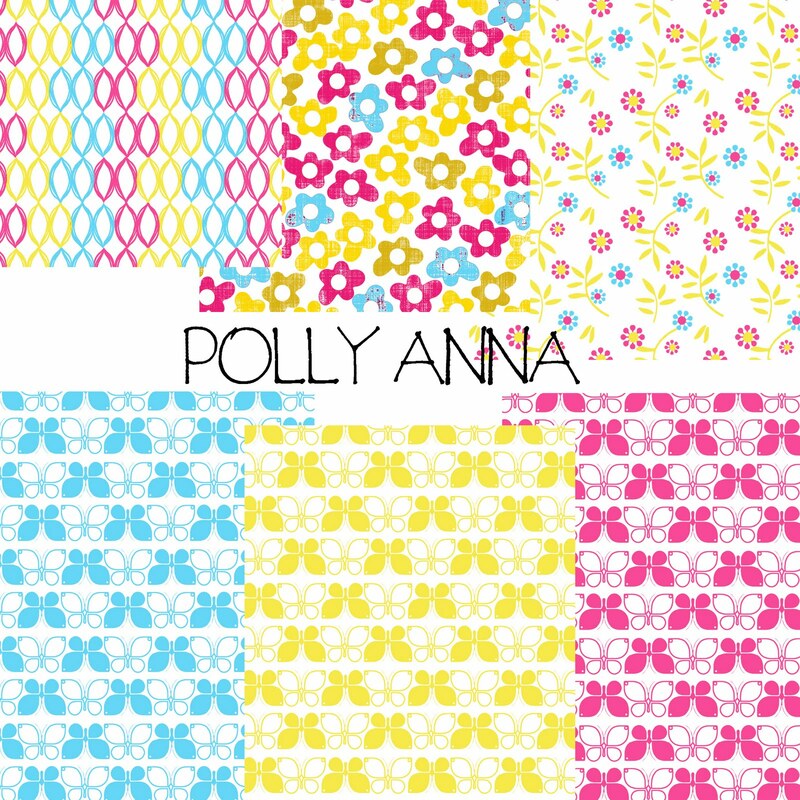 The prize will be 'Polly Anna' Paper collection, a bright colour palette with fabulous modern designs! Here in Australia we are enjoying a long weekend curtesy of the Queen's Birthday and it is another fabulous winter's day here in the Troprical Far North. Skies are blue and we are heading for a top of about 26°C. We are heading out today to enjoy this fabulous weather but before we do lets take a look at last weeks winners. So many fabulous entries again this week (thank you to all of you who shared with us), I hope you all enjoyed browsing through them as much as the Design Team and I did. Isn't this just the sweetest image?! Fabulous colouring too! I really love the little floral arrangement in the corner, a skill I have yet to master. 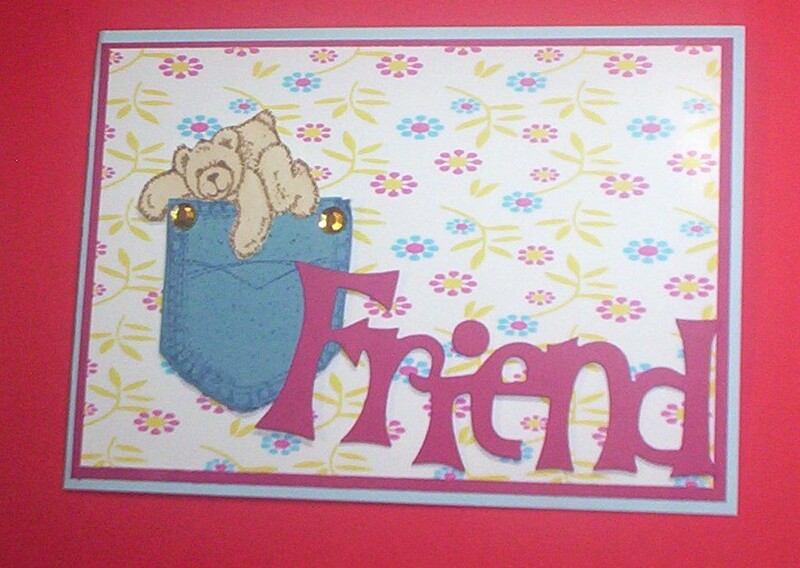 Please pop on over to the Crystal Elephant blog and say hello. It is a relatively new blog but there are plenty of beautiful cards and some pretty jewellery for you to browse through. Every week I see more and more of you getting in to the MIM spirit and sharing a little blog love around. This is the whole idea behind Make It Monday. Congratulations Anne-Marie, please email me at mgissel70@yahoo.com.au so that I can organise your prize. 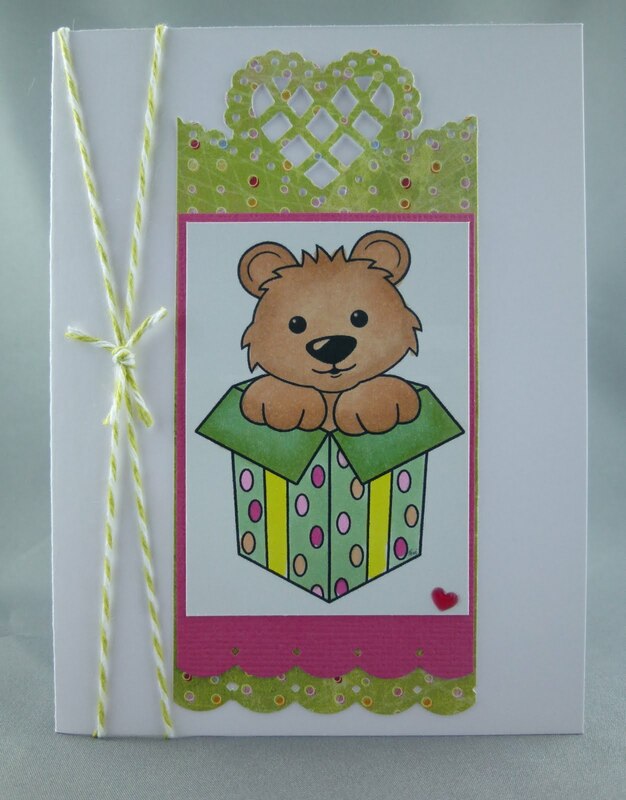 This weeks Linky Party # 41 is now open. Please link up your creations at the end of this post. Kerry is generously offering a stamp of the winners choice to the value of £6.50 to the random commentor this week. Happy Monday to you !! I know, typically there isn't much to cheer about on a Monday morning but hey, I've really come to look forward to Mondays now that all you wonderful crafters are sharing your beautiful creations here on Make It Monday. Welcome to those of you who have just recently joined us here, I hope you enjoy the bounty of inspiration that is shared here each week. I'm thrilled to see so many of you getting in to the spirit of MIM too and sharing some blog love around. Only problem I'm having is that my wish list of "must haves" is growing like you wouldn't believe. Each time I visit the creations linked up I find more images, dies etc that I just can't possibly do without, lol. 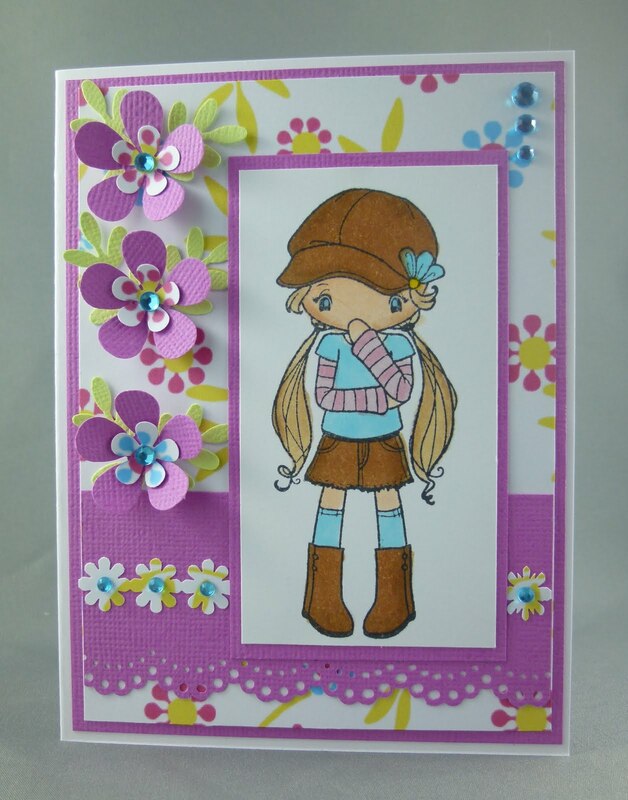 ﻿This is exactly the reason why I love Make It Monday so much, isn't this card just so beautiful with all its fabulous detail. 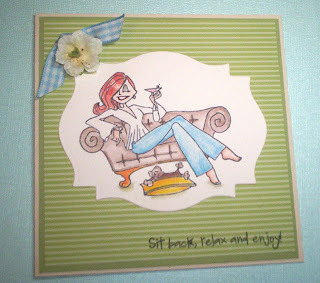 Each week new people are linkng up and I love checking out their past creations as I browse through their blogs. 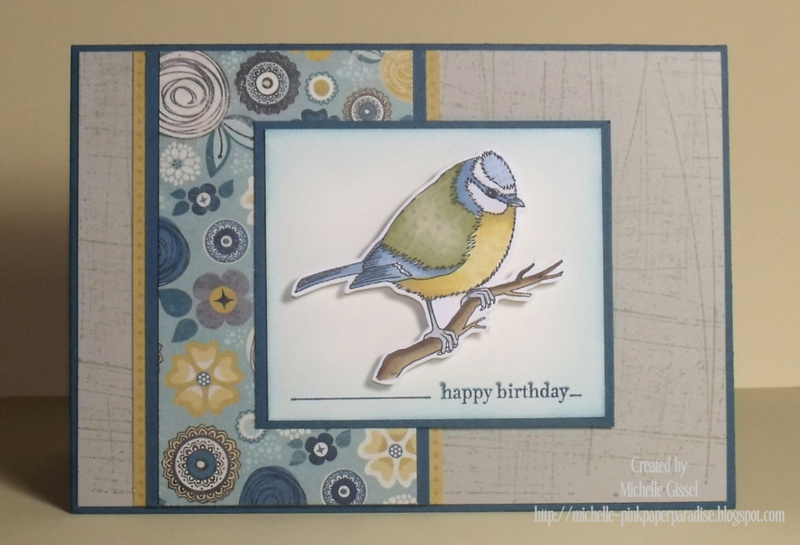 I have not come across Amelia's blog before and I am so glad she joined us last week as I have thoroughly enjoyed viewing all her gorgeous makes. Each and every post on her incredible blog had me gob smacked!! 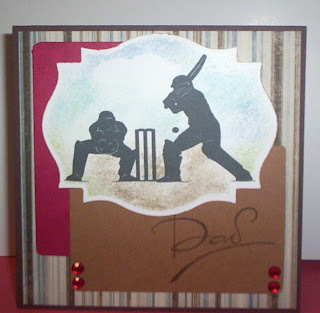 I was truely in awe of her incredibly talent to make such stunning cards. Thanks for sharing with us Amelia. Congratulations Kasey. Please email me at mgissel70@yahoo.com.au to claim your prize. This weeks Linky Party # 40 is now open. Please link up your creations at the end of this post. who are offering 4 digi images of winners choice to the second prize winner. The super talented ladies of the MIM Design Team have come up with some gorgeous creations to get you all inspired for this week's Make It Monday linky party. Please hop on over to their blogs to say hi.